Additional tickets can be purchased starting at just $6 and must be purchased in advance. All packages and additional tickets must be purchased two weeks prior to the scheduled date. 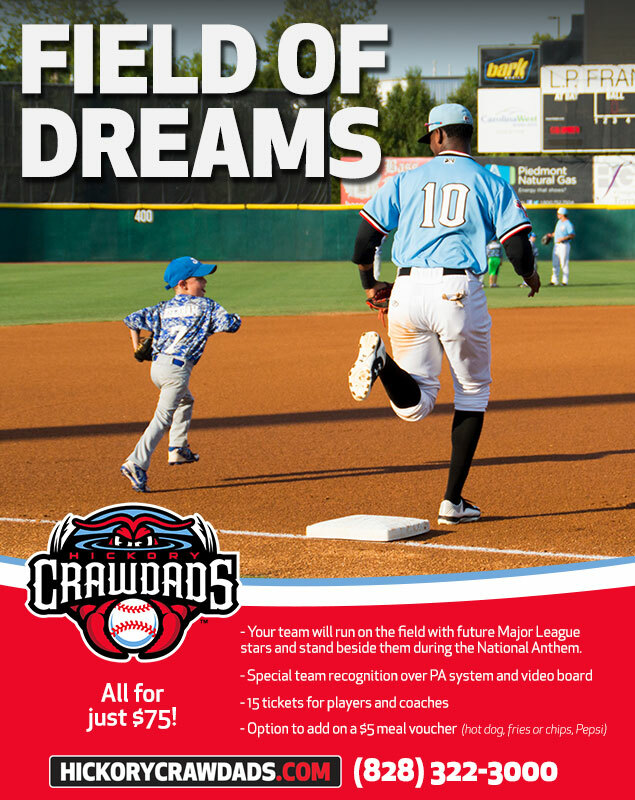 To book an Academy Outdoors + Sports Field of Dreams night for your team, call the Front Office at (828) 322-3000 or email Director of Group Sales Travis Gortman at tgortman@hickorycrawdads.com.